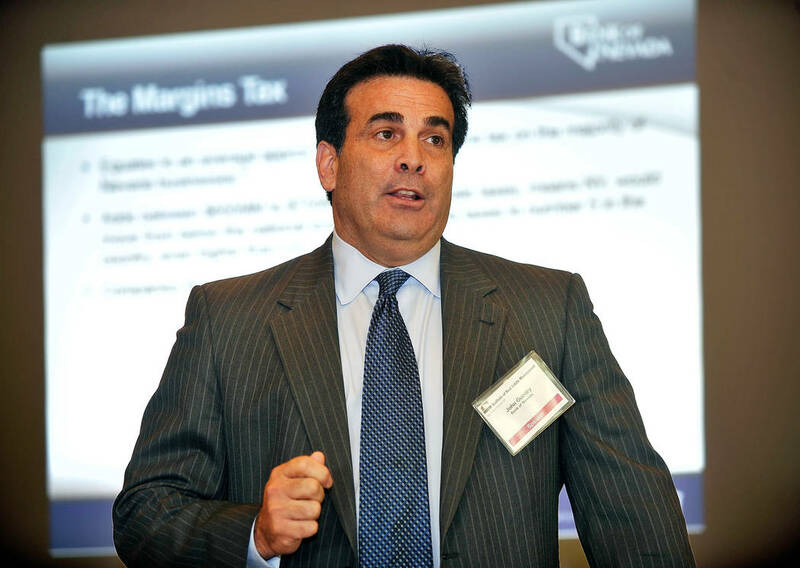 The R-word is top of the mind among members of the Southern Nevada commercial real estate industry, but a panel of experts predict the economy will do well in 2019 and when a recession does hit it should be short. The federal government shutdown and economic predictions dominated a gathering of CCIM Southern Nevada held Jan. 16 at the Palms. The group was joined by members of the Institute of Real Estate Management. Crane, who’s based in Texas, cited four interest rate hikes by the Fed in 2018 that hasn’t “crippled the real estate market.” When she started as a commercial broker in 1979, the interest rates were in excess of 20 percent and people still did deals, she said. “It’s not the end of the world if the Fed raises interest rates a little bit higher,” Crane said. Her bigger concerns are implantation of more tariffs as part of a trade war. The (possibility of an) ongoing government shutdown is a concern as well. “I think what’s going in Washington is worse than anything we can see in our economy,” Crane said. Matt Vance, an economist with real estate firm CBRE, Vance said his firm’s predicting 2.6 percent national GDP growth for 2019, which is below the more than 3 percent expected for 2018. He said businesses shouldn’t be worried about the next recession when it happens and hopefully it will be mild and short-lived, allowing for a reset. 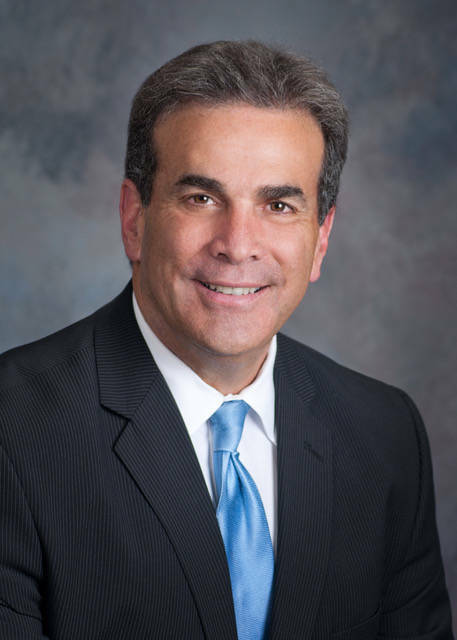 John Guedry, CEO of Bank of Nevada, said the last recession a decade ago took a long time to recover and the community has learned a lot of lessons about overbuilding from both the banker and developer standpoint. Vance said the current population growth in Las Vegas should make the industry excited for the diverse employment growth. That drives demand for commercial real estate, and there’s been a strong growth in business and professional services, and that requires office space, he said. Vance contends the Trump tax cuts have had a “muted impact,” while the anticipation was for a much stronger stimulus coming from that. On the consumer side, take-home pay rose and people spent it, but on the corporate side the tax cuts and repatriation of U.S. dollars from overseas has resulted in stock buybacks and non-stimulative outcomes, he added. In detailing various sectors, Vance said while e- commerce is growing it’s not quite 10 percent of total sales. He said the narrative that traditional retail is going away is overblown, but it’s forcing retails to adapt and evolve to the changing demand for customers. “The Amazon effect is strongest on the industrial sector,” Vance said. “The warehouse demand and changing style of industrial space being built, and I think the next disruptor will be in the grocery space. Las Vegas ended 2018 with a 2.6 percent industrial vacancy, and it might as well be zero, Vance said. “The idea that there’s any product available today with cold storage is very unlikely,” Vance said. As for office, Vance said Las Vegas isn’t quite the corporate city as others in the West such as Denver, but the movement of companies around this country looks different than it has in past cycles. There are opportunities in this marketplace, especially with Californians moving here with the skills they have, he said. Guedry said that while locating a company to Las Vegas is a good idea with a 24-hour workforce, but the challenge is it doesn’t stack up favorably to companies needing specific skill levels. Only 20 percent of the workforce here has post-secondary education, he said. On the multifamily front, Brett Holmes, the president and owner of Advanced Management Group, a property management firm, said 2018 was amazing and occupancy has been great and that 2019 should continue to be strong. There was 6 percent rent growth across their portfolio, but he expects that to be a little lower this year. Holmes said what’s exciting about Las Vegas is the expectation of 75 households moving to the city daily for the next five years. That demand for apartments will continue to be there, and it’s up to the builders to meet that. The challenge, however, is going to be housing affordability because people already feel rents are too high, he said. Vance said the marketplace has less supply of office, retail and industrial under construction now than there has been this cycle. There are even concerns about apartment development not capturing demand, he said. Guedry said there’s more high-end luxury apartments being built in part because of higher land, labor and material costs. Income levels needs to rise by more economicdiversification because costs aren’t coming down, he said. Guedry said “politics over policy” is the concern, especially as it relates to consumer confidence. “We need to tone down the rhetoric and focus on solutions not just in D.C. but throughout the state and local governments as well,” Guedry said. Crane said she’s concerned about new federal rules put in place Jan. 1 that all tenants must recognize their lease obligations on their balance sheets. In previous years there was a cut-off point, and the size of the lease dictated whether it had to be on the balance sheet, she said. Guedry agreed that the tax cut has been muted and helped the consumers more than it did businesses. It didn’t go as far as it needed to and ended up being a Band-Aid on a gaping wound. There needs to be a lowering of rates but eliminating loopholes into a more simplified tax plan. Guedry said his company was socially responsible and took the tax savings and passed that on to employees.